Everything has a first. Disney released Snow White and the Seven Dwarfs in 1937. It was the first full length cartoon movie. Walt Disney actually had to invent a way to film the movie, it was called the multi-plane camera. And it was still in use until the 1980s. He had his animators draw over 2 million sketches for the film. 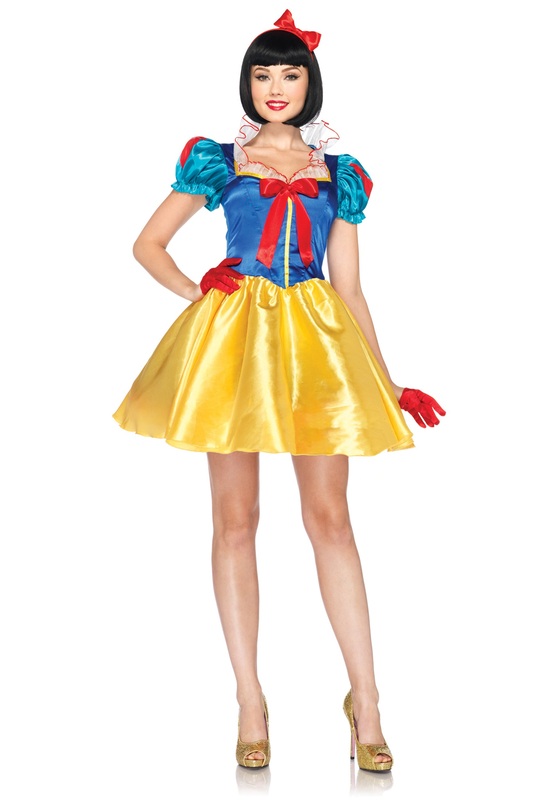 Snow White, herself, was the first of many Disney princesses. She was the first one to be revived (or saved) by her prince charming. And she sang such sweet songs. And she had adorable little woodland animals to help with the chores at the cottage. But most of all, she had that iconic dress. The first iconic princess dress. Now you can wear that colorful dress for the first time. This Women's Disney Classic Snow White Costume is a close copy of the one that she wore in the movie. Now all you'll have to do is find yourself a prince charming. We know that you can save yourself, but it's nice to have some arm candy every now, and again. Just try to stay out of the path of any Wicked Queens. You will be the fairest of them all in this dress, and we hear that Wicked Queens try to get rid of any one who is prettier than they are.